The skilled dancers, even while in unison, stood out as strong individuals while using the movement to tell a story. Their performances were both exciting and heart tugging. TO RAISE SOCIAL AWARENESS, ADDRESS THE UNSPOKEN AND MUTED THROUGH THE PERFORMING BODY. Megan Curet's unique dance practice fuses Afro-Latin rhythm and movement through contemporary form. Creating a unique dance experience, which engages with all bodies. Megan Curet teaches throughout NYC and internationally. Bringing affordable dance classes and workshop experiences to all age groups. THE CURET PERFORMANCE PROJECT IS A CONTEMPORARY DANCE COMPANY BASED IN NEW YORK CITY, FOUNDED BY ARTISTIC DIRECTOR AND CHOREOGRAPHER MEGAN CURET IN 2012. 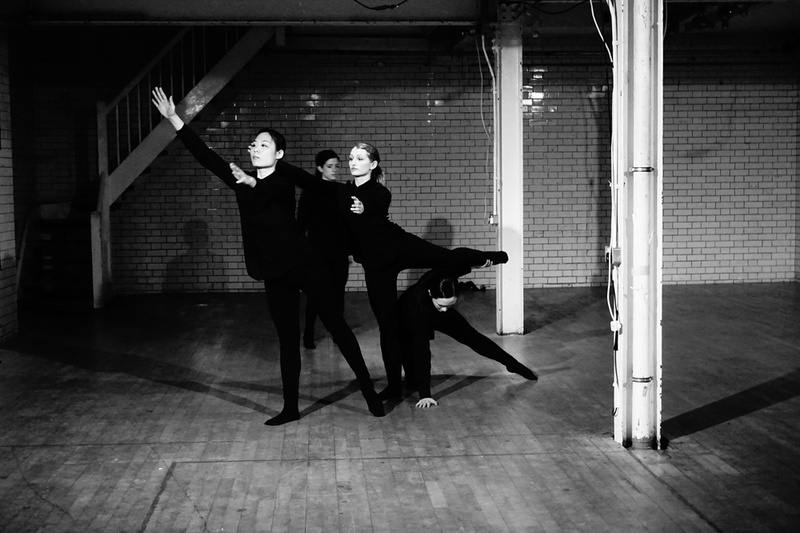 THE COMPANY SEEKS TO CREATE PROVOCATIVE AND ENTICING DANCE WORKS THAT ENGAGE WITH POLITICAL ISSUES, SET WITHIN IMMERSIVE AND MULTIDISCIPLINARY ENVIRONMENTS FOR UNIQUE PERFORMANCE EXPERIENCES. CENTERED AROUND CONTEMPORARY MODERN, THE COMPANY IS INFLUENCED BY THE VIBRANT, MULTICULTURAL ENVIRONMENT OF NEW YORK DRAWING FROM A RANGE OF STYLES AND HERITAGES INCLUDING JAZZ, LATINO AND AMERICAN MODERN DANCES SUCH AS GRAHAM. CURET PERFORMANCE PROJECT PERFORMERS REGULARLY IN NEW YORK, INCLUDING DIXON PLACE, TRISKELION ARTS, THE TANK, ALVIN AILEY CITIGROUP THEATRE AND NYC DANCE FESTIVAL. THE COMPANY ALSO WORKS INTERNATIONALLY, PERFORMING AND LEADING EDUCATIONAL PROJECTS IN LONDON, THE UK, TEL AVIV, ISRAEL AND ARMENIA IN THE CAUCASUS REGION.